JUNE POLL: HOW DO YOU EAT YOUR WATERMELON? - What About Watermelon? 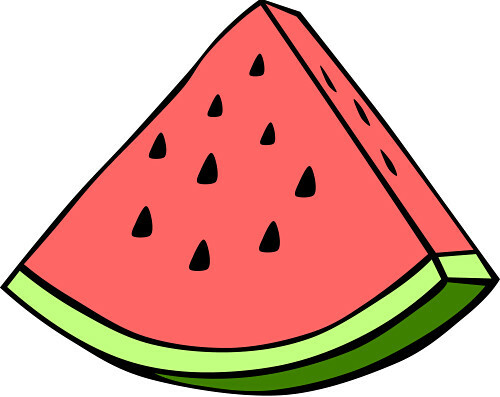 You are here: Home / General / JUNE POLL: HOW DO YOU EAT YOUR WATERMELON? JUNE POLL: HOW DO YOU EAT YOUR WATERMELON? Last month, I asked during which time of the year you usually purchase your watermelon. Most of you answered that you’re mainly a spring and summer type of watermelon eater. A few, like me, are four-season eaters. If there were a fifth season, somewhere between the end of winter and the beginning of spring (because there really should be), I’d probably eat it then, too. This month, I’m curious to learn not when you eat your watermelon, but how you eat your watermelon. Are you an old-fashioned type of person (one slice at a time)? Are you an on-the-go or lunch-at-work eater (cubed in a container)? Or are you adventurous like me and use watermelon as an ingredient in all sorts of recipes? Feel free to select as many answers as you need to on the poll at right. Have you ever tried the muffins? Do they really taste like watermelon? I don’t think I’ve ever had a watermelon bread, sounds different. I have not personally tried them, but I do agree that they sound tempting. Baking with watermelon is sometimes tricky, but an experienced chef (i.e. not me) can pull it off. Tell you what…I’ll try to make them this summer and let everyone know how it turned out with a post here on What About Watermelon. I like to add small chuncks of watermelon to a tall glass of cold water for flavor. Add chuncks of watermelon to my cottage cheese for breakfast. See? Sonia knows how to make her watermelon work for her. If you freeze the watermelon cubes and then put them in your drink, they make a nice alternative to ice cubes!